Is the LG G3 a worthy addition to 2014's superstar Android lineup? We have yet another brand new handset to get excited over in this week's Phone Show: the recently announced LG G3. LG's QHD-packing answer to the Galaxy S5, Xperia Z2 and One (M8) adds to an already solid lineup of Android smartphones released in 2014, and after last year's brilliant (but criminally overlooked) LG G2, we couldn't be more excited to get our hands on its predecessor. But has our excitement been well placed? In this week's show, we put the LG G3 under the scrupulous eye of our mobile gurus Gareth Beavis and John McCann, to find out whether this kid on the block has the grunt to face down its rivals. 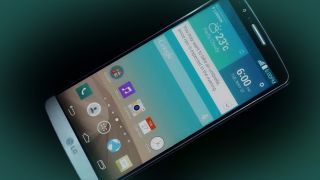 Click play below, and join us for an in-depth look at the LG G3.